The battlefield is set. 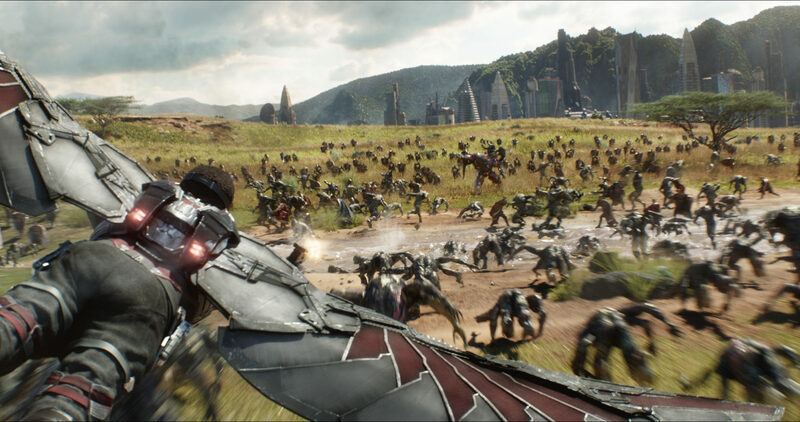 Spaceships have unloaded thousands of weird alien dogs, the Children of Thanos are itching to recover an Infinity Stone, and hundreds of Wakandan warriors line the meadow—led by our favorite MCU heroes—prepared to fight. But why? To buy time for Shuri to free Vision from the Mind Stone and save his life. Life. This concept drives the plot of the entire film—we must save everyone. 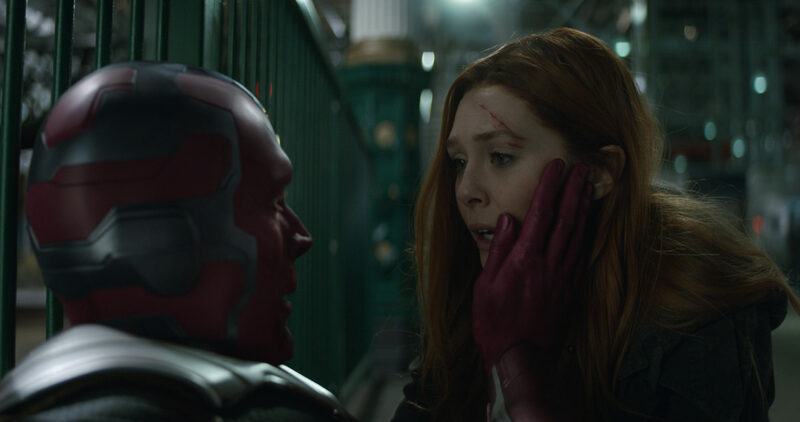 Vision offers to sacrifice himself in order to destroy the Mind Stone and prevent Thanos from achieving his horrible goal, however as Steve Rogers tells us, “we don’t trade lives.” None of the Earth-bound Avengers will allow Vision to do this because he has a choice in the matter. In the end, time wasn’t on their side and Vision is killed anyway. It’s pretty much a guarantee that many Wakandans were killed in the major battle—even before half of everyone in the universe wisps away into dust—which could have been completely avoided if they had agreed to Vision’s sacrifice and destroyed the stone immediately. Here’s the thing, though: at one point, Steve Rogers would have sacrificed himself for others. In Captain America: The First Avenger, a non-suped-up Rogers leapt upon a grenade to save the rest of his troop. Obviously he survived, since it was actually a dummy grenade thrown to prove a point about having heart, but he traded lives. Why has our bravest hero made a complete one-eighty on this issue? Because he, and many heroes, have become selfish. Somewhere along the line, the survival of Earth’s mightiest heroes carried more value than the lives they set out to save. This dilemma isn’t unique to Infinity War, or superhero movies in general; it’s a frequent plot in pop culture. One of the most well-known examples is in Saving Private Ryan, in which Tom Hanks leads a group of soldiers into the middle of a war zone to bring a single man home. Why? Because a pre-Jason Bourne Matt Damon is the last of four brothers fighting in the war that’s still alive, and command has ordered him to return home—except most of Hanks’s group gets killed in the process. The generals believed that bringing one person home outweighed the potential loss of life from the journey. In Vertical Limit, and other rescue-mission films like it, more people are often killed in the effort than could be saved in the end, and even the trailer for the latest Mission: Impossible movie teases Ethan Hunt’s decision to save a team member’s life over saving millions. Of course, there are tons of examples of heroes who sacrifice themselves for the greater good or to save their friends, like Obi-Wan Kenobi, Hodor, and even the Iron Giant. Self-sacrifice is easy—you get to make the choice. But when you have to decide to sacrifice someone else, it’s very difficult; so much so that ethics scholars created the trolley problem, a thought experiment in sacrifice. It goes like this: A trolley (or tram, streetcar, or whatever they may be called where you are) is speeding down the track. There are five people on the track who are guaranteed to perish if the train stays on its current path. There is a track-switch lever which would move the train to a different track, saving the five—except there’s one person on the new path who would die instead. What do you do? If you take no action, five people will die. If you pull the lever, five will be saved, but one will die. 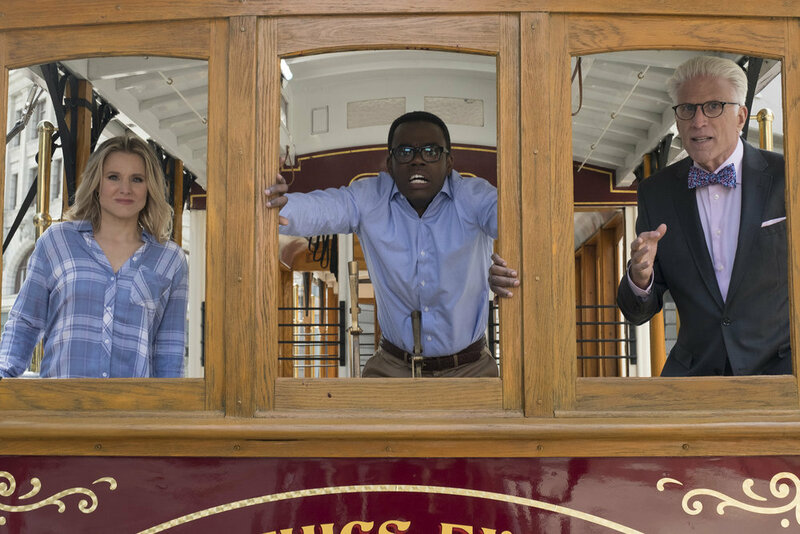 The Good Place centered an entire episode around this very concept, as Eleanor and Chidi try to teach Michael how to be ethical. Utilitarianism would tell us that we need to consider the greatest good for the greatest number, and you should pull the lever because five lives are more important than one. As Spock would say, “The needs of the many outweigh the needs of the few,” and to save those five, you have to take action, and kill the one person as a result. If you take no action, it’s not your fault—after all, you didn’t send the train speeding down the tracks. This brings us back to the selfishness of Cap and Scarlet Witch: have our heroes been stuck in the trolley problem? Neither of them were willing to “pull the lever” and kill Vision. Yes, I know Wanda takes the action at the last second, but it clearly doesn’t keep. Instead, the Thanos train came barreling down the track, killing half the universe. Was it justified, or do our heroes have some ethical thinking to do? David is a mild-mannered professor by day and a mild-mannered geek by night. When not awkwardly shaping the minds of tomorrow, he watches way too much television, keeps up with pop culture, and plays his fair share of games (digital and analog). Wow really interesting article. I never really thought about this before. I personally think if that was what Vision would have wanted, they should have let him do it. However, Steve has seen loss so I get where he’s coming from in the sense that he doesn’t want to see his close friends perish if they don’t have to. Plus Steve has never met Thanos or really heard of him so he’s not truly aware how much damage he could do. Therefore, he doesn’t think the threat is big enough for him to take seriously enough to warrant them sacrificing a team member. But if they did the obvious thing, then there would be no movie, and Disney would be out billions of dollars and I would have had to go see something else. ?